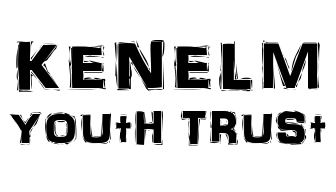 The Kenelm Youth Trust is committed to providing life changing opportunities for young people, helping each person to reflect upon their life of faith and how they respond to the call of Jesus Christ in their lives. The Trust has been established by the Archdiocese of Birmingham to oversee and bring together the wide variety of youth work that is undertaken in various settings throughout the Archdiocese. These include two residential retreat centres; area youth officers supporting parish youth work; support for those working within school chaplaincy; the organisation of school missions, parish outreach, events and pilgrimages. It is the role of the Board of Trustees to guide, support and make accountable each element that makes up the Youth Services, Alton, Castle, The New Centre for Youth Ministry, Chaplaincy coordination, and BCYS. The Board of Trustees is made up of people who have experience in a wide range of settings related to working with young people both locally and nationally. The Archdiocese of Birmingham has a long history of vibrant and dynamic youth work. It is because of this strong, passionate and committed involvement with youth ministry that a review of the Youth Services was commissioned by Archbishop Vincent Nichols and eventually delivered to Archbishop Bernard Longley in 2007. In November 2008 The Kenelm Youth Trust first met as a result of the recommendations of this review. One of it's primary focus' being to bring together a greater unity amongst the various elements of the Youth Service. Two residential centres and local area youth workers. It also has a special responsibility for the stewardship of the resources of the youth service to ensure they are being used to their full potential and for the maximum benefit of young people in the Archdiocese of Birmingham. In addition to this, in the spirit of dynamism that the youth services is associated with, The Trust was also charged with developing and striving a way forward to develop new areas of work where the report showed there was a lack or a greater need. The development of the Soli House Outreach Ministry and the appointment of a Lay Chaplaincy coordinator are two such developments the Trust is responsible for. The Trust are an active body of passionate and experienced people. They meet frequently and seek to serve the young people of the Archdiocese of Birmingham. In these fast changing times they take action to protect, develop and grow the youth ministry of our diocese.